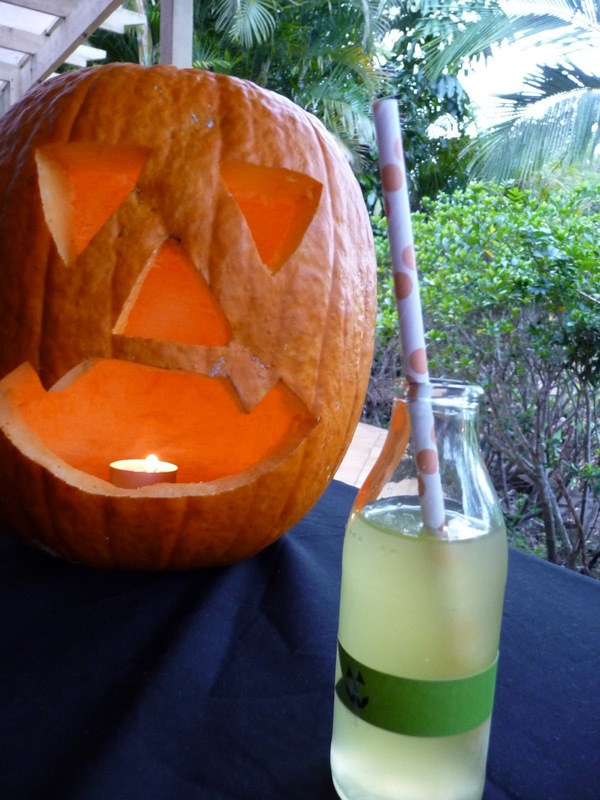 For our halloween party I wanted to make orange cordial, served in these mini bottles with paper straws. There are plenty of recipes on the net and when I found one that would work for me, I ended up tweeking it a little. On the stove top in a large pan bring the sugar and water to a slow simmer. Stire until the sugar has dissolve. Juice the oranges and strain into the pot of sugar water. Add big strips of orange zest to the pot and let simmer until it reduces by 1/3. It took an hour or two for it to simmer down on a gentle heat. I strained the syrup mixture to get the zest strips out and any little bits of orange pulp. Can be stored in the fridge for up to a month. My first batched only lasted 2 weeks.